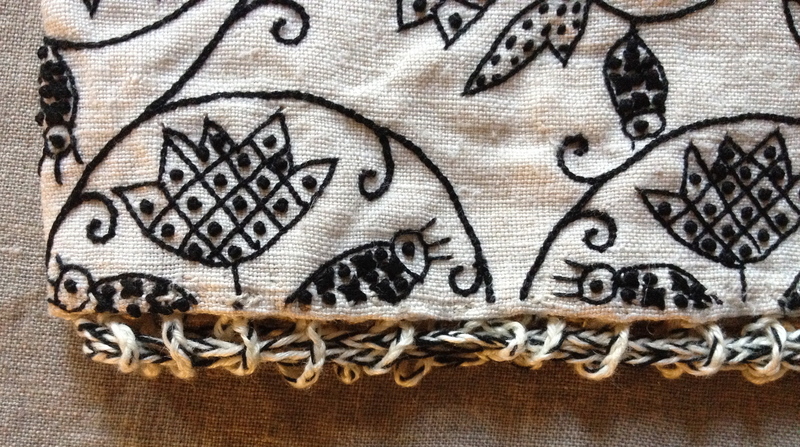 Based on an example in the Met Museum in New York, this is worked on linen in black silk and sewn to a pattern of a coif in Janet Arnold PoF4. 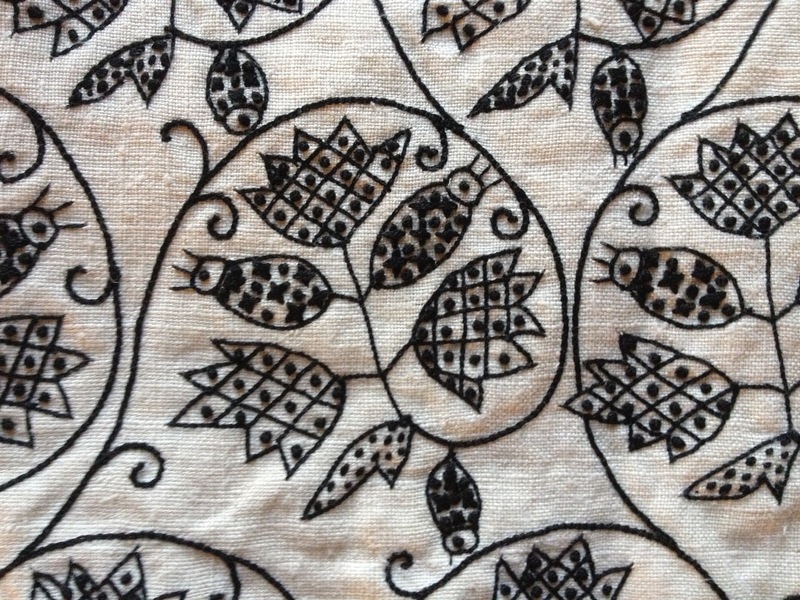 This is another example of the lovely embroidery work that Araaish Designs in Mumbai are doing for us. Construction and design is by the 1642 Tailor. 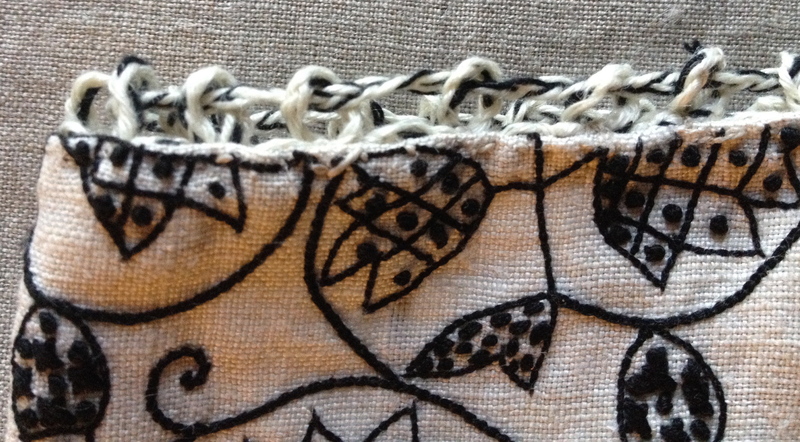 The pattern for the coif is based on an embroidered one in Janet Arnold’s book. The original has a red, green and black pattern with barberries and leaves, but the basic layout is the same. 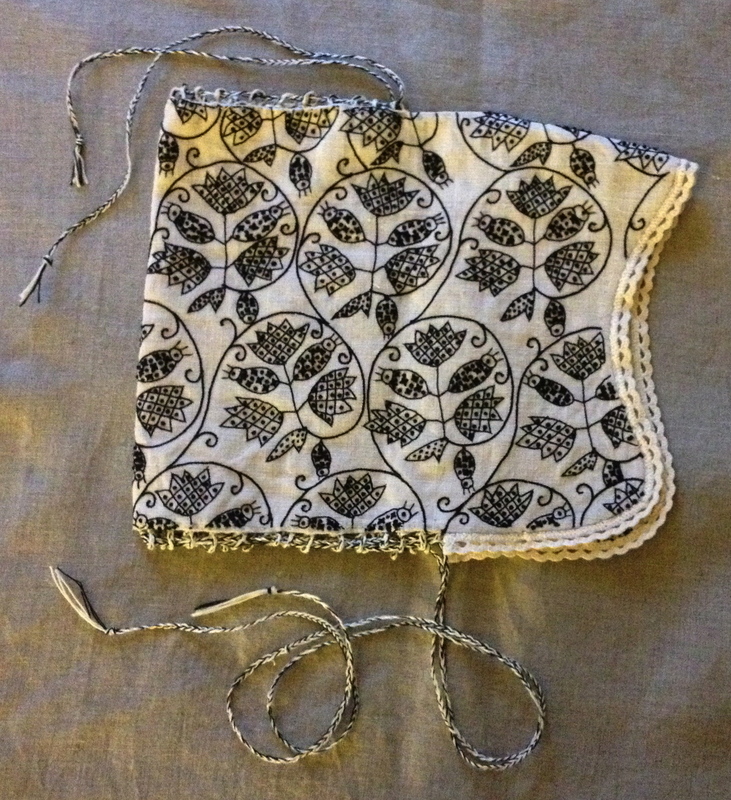 We’ve kept the linen drawstring and the thread loops of the original as you can see from the photograph. The pattern for the embroidery is taken from an example in the Metropolitan Museum of Art in New York. Follow this link to see the original coif. Meantime here are some close up photos of the work. 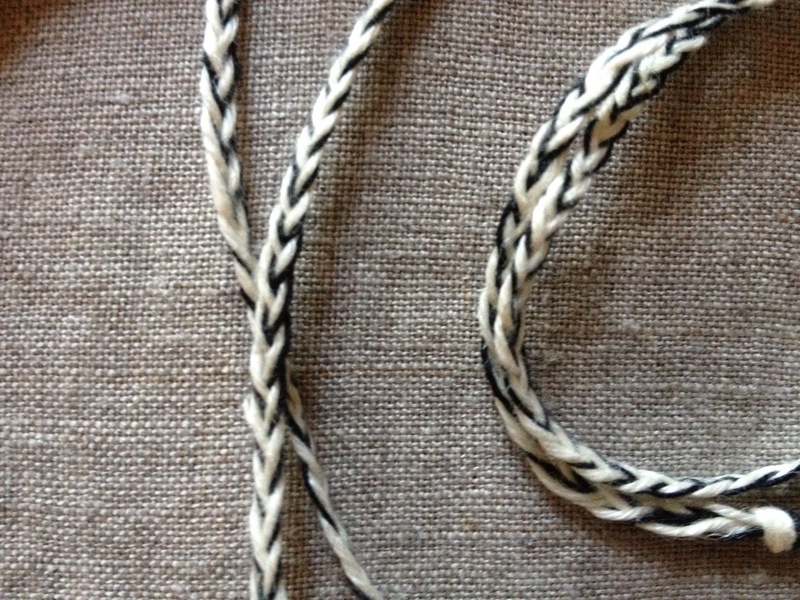 Detail of the embroidery pattern. 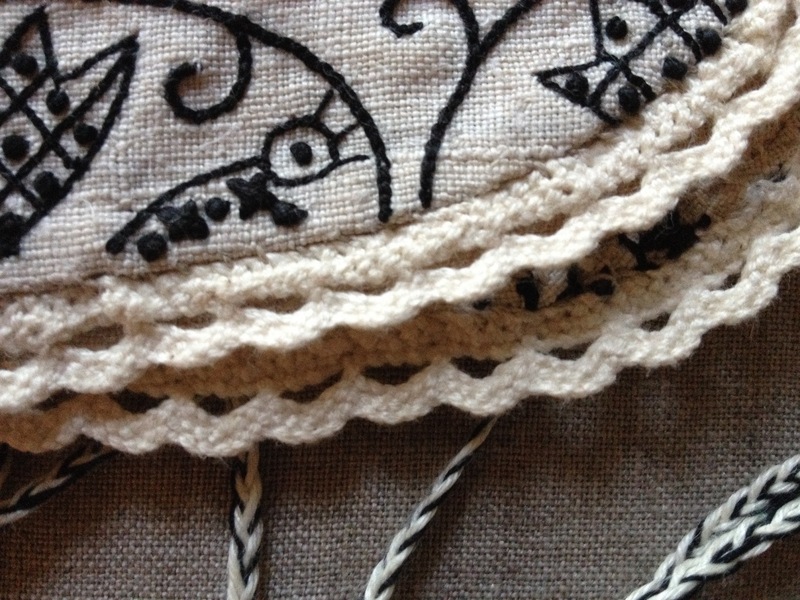 The lower right hand edge with reproduction bobbin lace.